With all of the sickness going on here I have hardly had time to keep up with the fun things that have actually gone on. Yes, there actually have been some nice moments mixed in with the mess of a week. Coming soon photos from Sesame Street Live on Thursday. 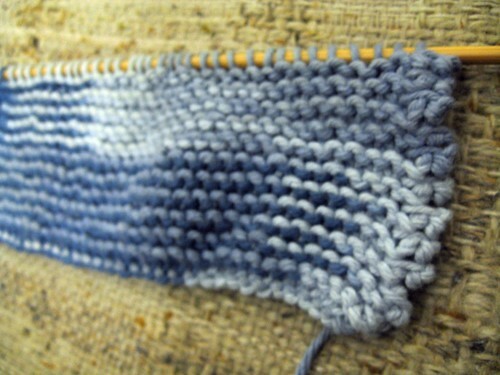 While JSL was in the hospital and I was not able to sleep I spent time knitting while listening and watching him. 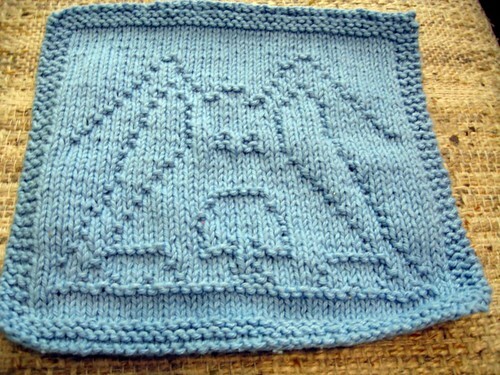 Both were wash cloth patterns from Lil Knit of This & That (love her patterns). 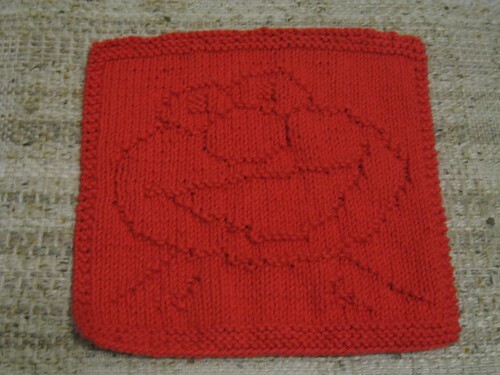 I was able to finish one wash cloth that I started the day before everything happened and start another. Finished in the hospital was Peek-A-Blue which happens to look a lot like Blue from Blues Clues. Next up NHL requested the Furry Red Monster who happens to look a lot like Elmo. 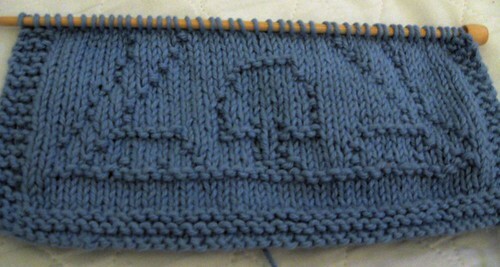 Once again a great pattern that was super easy to follow and looks amazing when done. I know I will make this for gifts in the future. This is what mine looked like when finished. Today while doing laundry, caring for JSL and blowing my own nose (darn germs). . . I started something new. I decided to try a Nubbins wash cloth (great free patterns found here). Laura told me it would be quick and easy and something different. That it is. . .in a very good way. 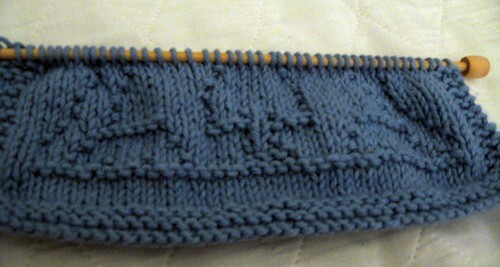 I have done about 20 rows at this point, so it is about a third of the way done. Here is a quick peek of it so far. 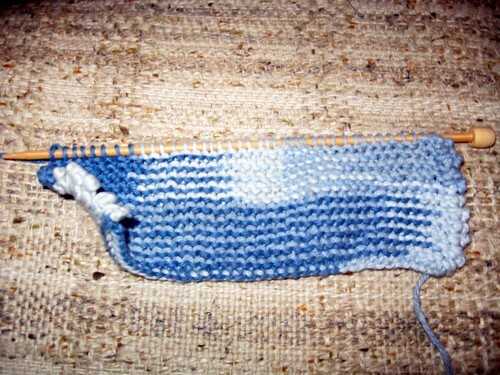 As you can see knitting is something I can do while sitting with JSL and it helps to get rid of some of the stress. Now I just hope that his temperature stays down since it was starting to go up again this evening. Requesting a dull moment – PLEASE!